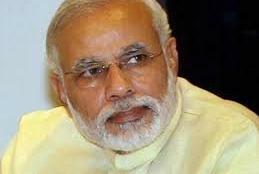 Indian PM Narendra Modi has confirmed his participation at the UN Vesak Day celebrations to be held in Colombo from 12-14 May, informed sources said. Modi, who is to be the Chief Guest at the celebrations, to be held at the BMICH, is also slated to hold bilateral talks with both President Maithripala Sirisena and PM Ranil Wickremesinghe. During his two-day State visit, the Indian leader is also scheduled to attend a special religious event at Sri Dalada Maligawa in Kandy, while laying a foundation stone for the arts and cultural training centre which is to be built with Indian Government funds. He is also slated to declare open the Hatton Dikoya Hospital, which has also been built with Indian assistance, during his visit here.